Testimony to the lush vegetation which accompanied the winding course of the Ebro, where the riverbanks today represent privileged redoubts for wildlife. What in olden days must have constituted a wide, extensive riverbank passage following the Ebro on both banks today is broken up into stretches. Tiny enclaves with rich diversity.Entering deep into the thickets or approaching banks and beaches, means entering one of the richest and most varied ecosystems of our territory. 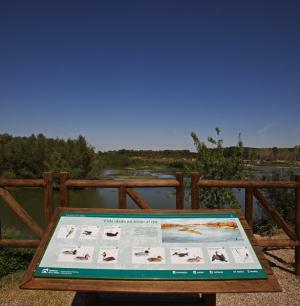 Permanent exhibition and projection which tackles the nature reserve of the Riverbanks of the Ebro, the stork colony and the history of Alfaro. 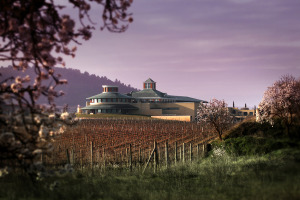 This 4000 m museum belonging to the Dinastia Vivanco Foundation houses 2 the cultural collection of the Rioja winemaking Vivanco family. Archaeology, sculpture, painting, etc. Give us a universal vision of the relevance that wine has had in all civilisations throughout history. El Museo de la Romanización (The Museum of Romanization) is in the centre of the old town, on Calle Ángel Oliván, in a beautiful building owned by the Regional Government of La Rioja, the Calahorra Town Council being responsible for its maintenance. Built in the 1930s, it is popularly known as the "Casa del Millonario" (The Millionaire's House) since its owner, in the 1930s, was lucky enough to win a prize of three million pesetas in the National Lottery, and had this house built. Later this building had other uses such as a Notary's Office, a house of tenants, until it became the Museo Municipal in 1984, opened by the King and Queen of Spain. In 2007 it started being refurbished to house the Museum of Romanization, which was finally opened in 2009. 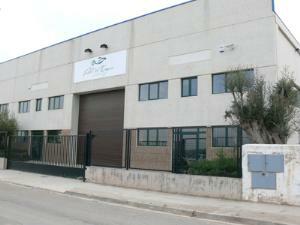 The building occupies a built area of 414 m2. It is a historic building which consists of ground floor and three storeys, in addition to a garden where architectural materials of greater weight are exhibited. The building maintains its original structure, although some rooms have been remodeled for exhibition rooms. Original elements are several stained-glass doors and windows, marquetry floors and ceilings of the noble rooms, as well as the lift. Collection: through purchase, donation, or deposit. Conservation and security measures for the collections. Exhibition organised, didactical and aesthetic. 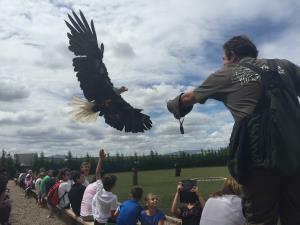 Tierra Rapaz es un parque de aves rapaces dedicado a la educación medio ambiental, cuyo objetivo prioritario es acercar la ciencia y el estudio sobre estas aves al visitante de una manera divertida y apasionante. En él, se dan a conocer diversas áreas de la biología de estas majestuosas aves como el desarrollo embrionario en un ave rapaz, la cría de sus pollos, sus habilidades para cazar y comportamentales, sus amenazas y problemas de conservación y muchas cosas más. Aprender y divertirse es ahora posible en un parque para todas las edades. 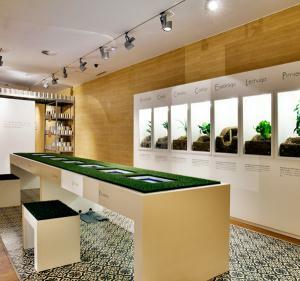 El Museo de la Verdura (Museum of Vegetables) has been designed as an interactive and educational centre, being equipped with new technologies, touch screens and computer games to make the contents more attractive. Throughout the centre, there are 18 audiovisuals presenting different aspects of the most important vegetables of Calahorra, ranging from the land to agriculture, gastronomy and the importance of horticultural products in a healthy diet. 1.- “El territorio y el hombre”(Territory and Man): Featuring the characteristics of the lands of Calahorra and La Rioja Baja and farmers' work. 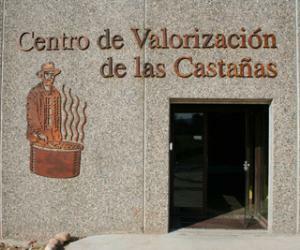 It contains a video with three documentaries, a map and model of La Rioja Baja and different elements related to farming. 2.- “La agricultura y la huerta” (Agriculture and Farming): Dealing with irrigation systems, the evolution of farming systems, machinery and tools throughout history, soil strata and religious and popular culture on farming. 4.- “La Conserva” (Preserves): Explaining traditional preservation methods, where we can see some labels from Calahorra preserves, a 1920s documentary by Conservas Francisco Moreno and another documentary about the current canning factories. 5- “Otros sistemas de conservación” (Other Systems of Preservation): Presenting pre-prepared and pre-cooked product range: washed, pre-cooked and frozen vegetables. 6- “Todo para comer” (Everything for Eating): Dealing with vegetable gastronomy, showing six videos with recipes from six restaurants in the city and pamphlets with recipes from catering establishments. This space is decorated with different cooking devices and utensils used throughout history. More than 120 million years ago, dinosaurs lived in this place. They lived in a unique setting, the ancient Tethys Sea, where they left their mark. Today we continue to be amazed by their habitat, their food, their way of life, hunting... i.e, the true natural setting of saurians. And we know it because palaeontologists have used all the tools available to them to discover the remains of one of the most amazing animals that have inhabited our planet. 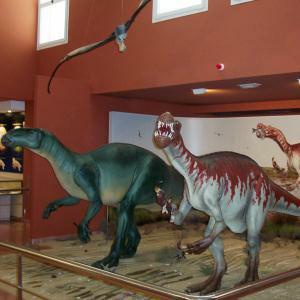 On the top floor of the entrance building you can enjoy a 3D screening in which the dinosaurs are the stars. In addition, the exhibition area, located in the same building, explores the work of palaeontologists, with a sample of the materials used and the remains of an excavation. The exhibition is interactive, through games (puzzles and touchscreens) in which the visitor is the protagonist. 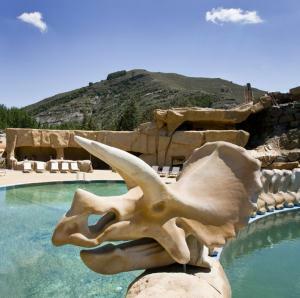 As well as interpreting and explaining the geological and palaeontological aspects of the Region of La Rioja, visitors will be able to discover the interest aroused by this valuable legacy from the past and its importance in the context of Spanish European and world geology. Through various thematic spaces the visitor will be able to read and see a series of didactic messages which will take him on a fascinating journey through time,back to distant geological origins of La Rioja. Perhaps the most spectacular discovery in the area was a fossilised conifer trunk 11 metres long, this incredible trunk is 4 km. From the village, on the hill opposite the shrine of Our Lady of el Villar, and is right on the side of the Cornago road.